WELCOME EXPO! 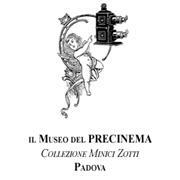 Dicken's travel in Italy The Museum of PRECINEMA, which institution selected for EXPO VENETO 2015, with the Department of Culture of the City of Padua celebrates the beginning of this important event with a big party open to the community of Padua. On May 9, at 12.00 we will open the doors of Palazzo Angeli, once the home of Andrea Memmo, where Laura Minici Zotti will read the lecture "Dickens in Veneto", with projections in Power Point, and so she will start in the numerous events to be made during the EXPO VENETO (May 2 to October 31). For the occasion, we will offer Prosecco, known wine to toast the happy events, grown in the Veneto, a place rich in flavor and culture. To attend the event free of charge booking required.